You may see the full DBISAM system information (file version, header size etc), table structure and data in grid. 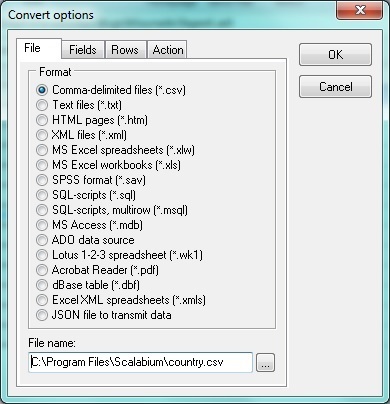 When DBISAM table loaded, you may save the data to different file formats (CSV, Text, HTML, XML, MS Excel, MS Access, SPSS, SQL, dbf, JSON etc) or copy to clipboard. For password-protected table you may see the valid decrypted password in tab with general information.